I get a lot of calls from folks who need certification ASAP. The call usually starts out asking if I have a class that day or the next day. Because, they usually explain, they needed to certified or recertified already. Like … they should have been in a class yesterday. They had a deadline and they missed it. Sometimes I do have a class that day or the next that they can join in. Often I don’t. Some will ask if I’ll do a class just for them right away. I’m sympathetic, I do understand that sometimes we miss deadlines. We get busy, life happens, etc. However I can’t drop everything to do a private one-on-one class, especially not for the same course charge as one of my open-enrollment classes. 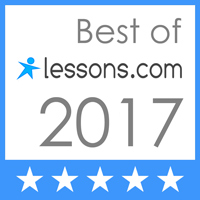 I will occasionally schedule a private one-on-one certification course. It’s pretty rare though. I have to charge for the same amount of time and the individual supplies to do this, and it can be pricey. Which is why I don’t often recommend it. But what can get frustrating is the folks who call or email and demand that I do a class for just them, or try to guilt me into doing a class just for them. My class schedule is based on my family’s schedule, and while I do leave open days for booking on-site classes, it’s just not cost effective to do this. I’m really not comfortable charge a large fee for 1 person. In the summer my schedule is reduced because my kids are home from school. I’m teaching a lot less so I can enjoy the summer with them. I have a classes every few weeks. If those don’t meet your deadline I’m happy to suggest other places or instructors to call. Just please be kind when you call and ask for a class yesterday. Click here for Course Catalog and Class Schedule and to register for classes. For additional courses and class dates please view my Course Catalog and Class Schedule. In March Gail is teaching at the Hampton Inn in Kittery, Salisbury Family Dental, and at Portsmouth Regional Hospital in addition to her regularly scheduled classes at the Hampton classroom. My weather-related class rescheduling policy can be found here: http://coastalcpr.com/rescheduling-classes-due-to-weather/. 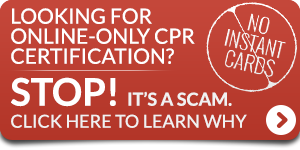 You know you need a CPR or First Aid class, but which one do you need? 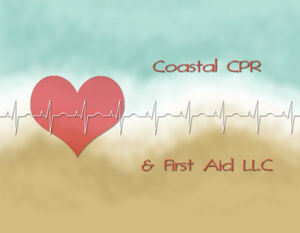 Different types of licensing, certification or employment have different CPR and First Aid requirements. Check out my handy guide to see what type of course fits your needs. If you’re looking for the cheap and fast class don’t call me.